What Kind of Living Room Do You Have? Before making a visit to the hardware store, you should step back and think about the overall type of living room in your home. A traditional enclosed living room has clear surrounding walls and defined entryways. And for such a room, you will need accurate measurements for the walls and floors to scale your décor properly. Open plan living rooms, on the other hand, are more flexible in nature. While the measurements are still important, you have more options in terms of furniture sizing and proportions because you have more space to work with. After deciding what kind of living room you want, the next step is to measure the lengths and widths of all your entryways. This is important because entryways will determine the items that can actually fit through the door when planning your interior décor. You should also consider any corners, stairways and fixtures that are present within the space. Design features can obstruct various types of furniture if you don’t properly plan for them. Measuring the walls and floors of your living room will be key to proper décor and aesthetic appeal. 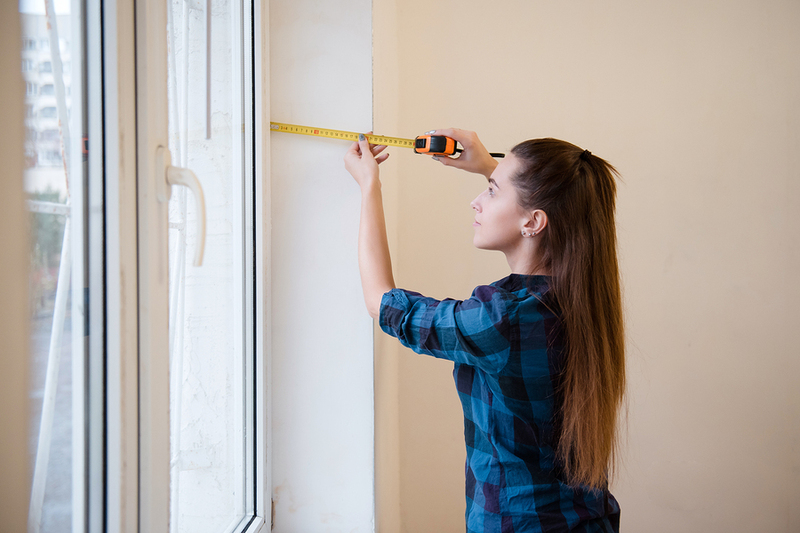 Start by calculating these dimensions from end to end, along with the height measurements of your walls. An average home of 2,500 square feet will typically have a living room of 12x18ft. With such dimensions, you should plan for couches, tables and other furnishings that allow enough room for movement. A good idea is to determine your focal point (such as a fireplace or even a coffee table), and then plan the design of the room around this. As you account for the dimensions across your floor, also remember that height matters. A typical living room ceiling is about 8 feet high. Therefore, your floor items should cover the bottom quarter of your living room walls to achieve a proper height balance. When coupled with wall furnishings, leaving enough room for both your walls and floors will be key to achieving your overall aesthetic. Along with proper measurements, positioning is also important. To achieve the proper balance, group furniture of similar height together. For example, shorter chairs work well when paired with a loveseat and high-back chairs complement a large sofa well, while tall shelving can be positioned on either end of a mounted TV, as the eye will be drawn upward. By taking the measurements of your space and the dimensions of your furniture into account, you’ll be able to easily achieve your desired aesthetic.